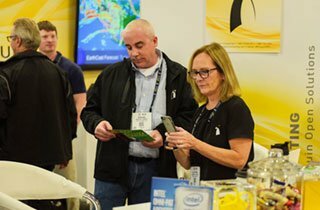 The infrastructure of high performance computing and the HPC community have grown exponentially since the first SC conference, SC88 in Orlando, Florida. This anniversary offers all of us the opportunity to review and celebrate our collective accomplishments, not only in HPC, but also in society at large. Please take the time to participate in this historical moment through the following exhibits and events. Drop by and get a “selfie” in front of the iconic Cray 1 on display. Breakthroughs in supercomputing history – a chronology of how the supercomputing past made the supercomputing present. SCinet architectural diagrams showing the evolution of network technology from 10 Mbits per seconds to 100 Gigabits per second bandwidth speeds. See a Fuzzball router used on the NSFnet that interconnected the academic supercomputer centers and spawned the commercial Internet. A variety of conference memorabilia and historically significant artifacts loaned by exhibitors and attendees. View a documentary video on how Beowulf changed the course of HPC forever, experience a 3D-printed personal cluster build, and gather with others in the Beowulf community. The live 3D-printed Beowulf cluster build begins when the Exhibits Hall opens and will be completed by the time it closes at the end of the week. Stop by and see the progress! A plexi-glass panel for every SC conference will feature each conference chair and display significant milestones for the conference and for the HPC community. Take time to enjoy these panels before or after you attend the keynote session on Tuesday, November 13, 8:30–10 am. Individuals and exhibitors who have been a part of all 30 years of the SC conference will be recognized at the keynote session. Furthermore, they will be featured in the SC18 Newsdesk reports and HPCwire’s coverage of the conference. Moderated by Beverly Clayton, formerly with the Pittsburgh SupercomputingCenter, this panel will feature SC conference chairs discussing the past and future of SC, supercomputing, and HPC research. 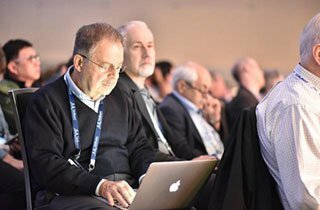 Past SC conference chairs will also be recognized at the SC18 keynote session on Tuesday, November 13, 8:30–10 am. Visit exhibitors displaying the SC History Maker sign and learn how they made supercomputing history. Information about their contributions to HPC will also be displayed on digital signs throughout the conference. Proceedings from previous SC Conference years are available. 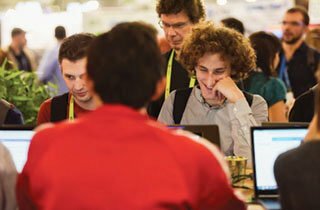 The SC18 Planning Committee is seeking volunteers and participants for our 30th anniversary events.